T&J 2GANG METAL SOCKET M8913SD is rated 4.7 out of 5 by 3. Rated 4 out of 5 by m0r0n from Good quality! Bought this to modify an extension bar and everything work as expected. Price wise is cheaper compared to the neighborhood hardware shop. Overall, quite satisfied with the product. Rated 5 out of 5 by Ki123 from Just the socket I was looking for. I had to replace 1 of the plastic 2-gang sockets at my kitchen after every few months because the faceplate would crack. It falls in between 2 tiles that were not even. I finally decided to try metal clad sockets and found these at Horme which come with Singapore Safety Marks. I only used the frontplate of the metal clad sockets to replace the plastic sockets. 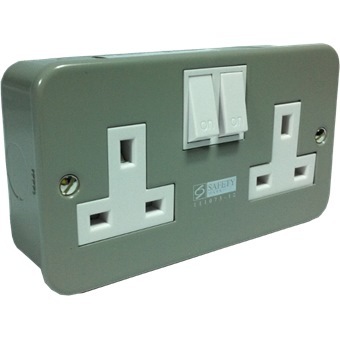 Very easy to install and fits right onto the plastic box of the original plastic sockets. 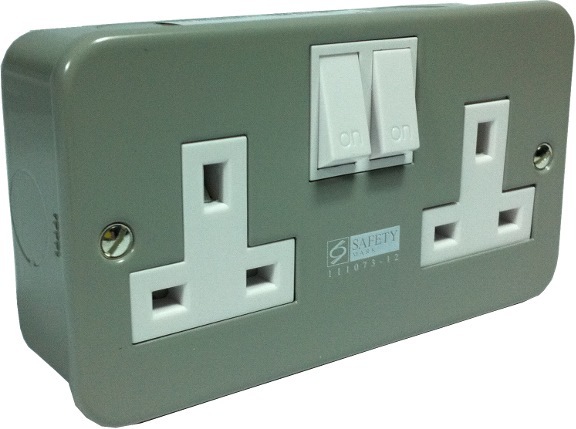 I bought 2 of these 2-gang metal clad sockets and 3 1-gang metal clad sockets to replace all the sockets at my kitchen just so the electrical sockets would look consistent.